We are delighted to announce that we have completed our oral histories project titled Withington Now and Then as funded by the Heritage Lottery Fund. 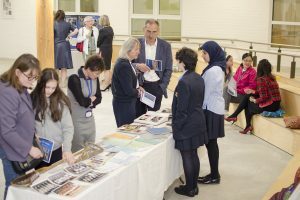 The initial phase of the project began before Christmas, with all three Year 7 Forms and pupils from the Senior School and Sixth Form benefiting from an archive handling and research workshop, held in the Founders’ Room. 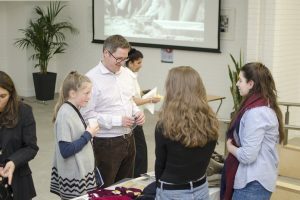 During the workshops, Conservation Specialist Mr Nic Rayner, showed pupils how to handle a variety of delicate resources from the School’s Archive. 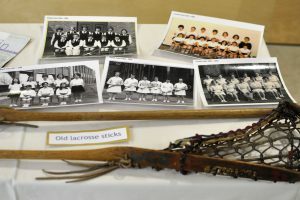 Participants learned about the early years of Withington, School during World War Two, and life during the 1950s, 1960s and 1970s. 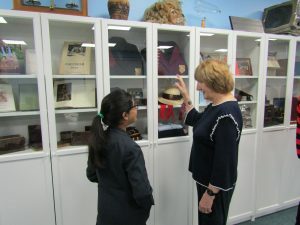 In the New Year, Junior School pupils had their turn to explore the collection and learned about about school uniform, school dinners and the different sports activities that our pupils have experienced over the years. Both Upper II Forms considered a wide variety of items, learning about different sources of information. 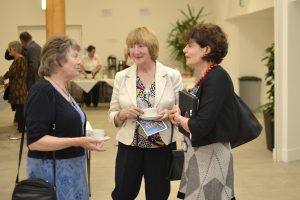 The Juniors also engaged with Old Girls Mrs Monica Hastings and Mrs Val Hempstock, learning first-hand what it was like to study at Withington during different eras. Following the workshops, the girls thought about the archive material that they had studied and learned about oral history records during their History classes. They then set to work developing their own interview questions so that they could find out even more about Withington’s history. 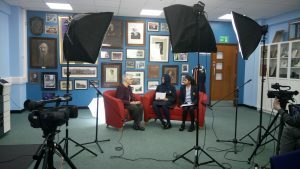 We then filmed our current pupils delivering interview questions to twenty-five willing Old Girls. 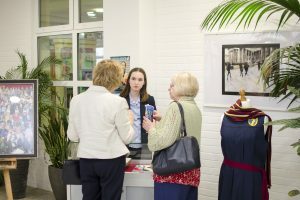 The interviews were conducted across the School site commencing in the Founders’ Room and then moving on to the School Library, Room Nineteen, the Junior Hall and Junior Library. 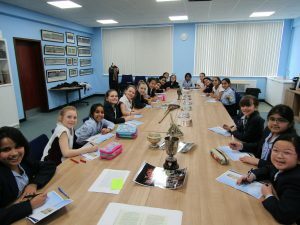 Many of our enthusiastic historians took the opportunity to ask a range of questions about school life and women’s education over the decades. 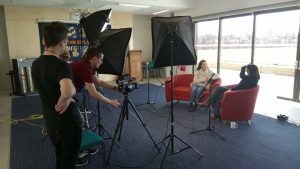 The girls were not daunted by the amount of filming equipment and lighting that turned each location into quite a TV set and our Alumnae members were brilliant at retelling their interesting stories. 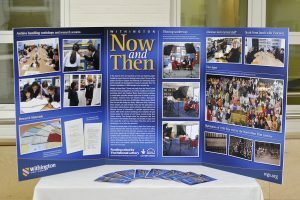 All the interview material was edited by Mr Eliott Peterken and Mr Iain West to produce the special oral history DVD titled Withington Now and Then. This audio-visual record has been placed into our Archive collection for future generations to enjoy. 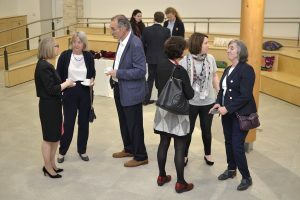 To celebrate the success of the project, over 200 guests including alumnae, staff, family and friends from the local community attended the premiere of Withington Now and Then, held in the Arts Centre. 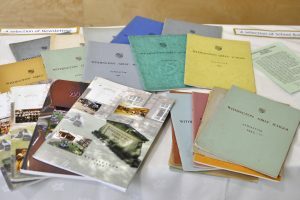 Upon the drinks reception, visitors has the opportunity to view a range of archive objects and records on display. 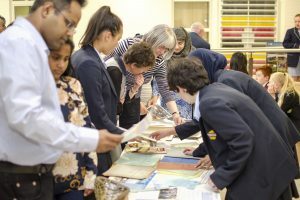 Our Archive Assistant Volunteers from the Senior School and Sixth Form were on hand and acted as ‘Explainers’, sharing their knowledge and understanding of our history with guests as they explored the displays. 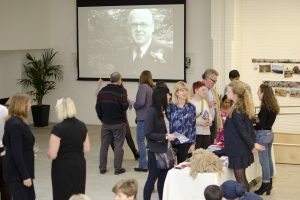 After the screening of Withington Now and Then, tea and coffee was served in the Hub and guests enjoyed the chance to watch our newly digitised silent film that shows life at Withington during the Summer term of 1939. The positive outcomes of the Withington Now and Then project would not have been possible without the enthusiastic support of Withington staff, alumnae, pupils and friends. The grant from the Heritage Lottery Fund and shared expertise from staff at Archives + and the North West Film Archive have all contributed to a long lasting documentary that we will treasure in our Archive collection. Withington Now and Then from Withington Girls’ School on Vimeo.